It appears poor old Johnny Depp can’t take a trick in Australia at the moment. The Pirates of the Caribbean star was busted in April for illegally bringing his two pooches into the country and now his current campaign for a Christian Dior men’s fragrance has come under fire after critics felt it was inappropriate following recent allegations of domestic violence. The outdoor and print campaign, that has featured prominently in capital cities and national magazines, is for the men’s fragrance “Sauvage”. 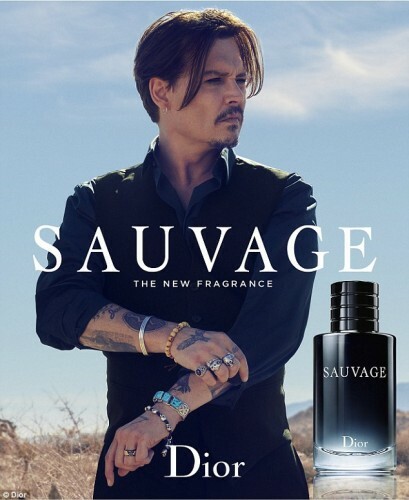 Sauvage is French for wild; however, some Aussies have linked it to Depp’s domestic violence charges and want it removed. Check out the world’s coolest luxury brands here. Depp has recently divorced from his wife Amber Heard who had claimed Depp repeatedly abused her during their tumultuous 18-month marriage. However, Heard has subsequently withdrawn the allegations and has since described the relationship as “volatile at times”. Fairfax Media is reporting that the campaign has received an unspecified number of complaints to the Advertising Standard Bureau that “centre around the use of the actor in the advertisements”. Fairfax added that Christian Dior’s Australian operations did not want to comment saying it was a “personal matter of Miss Heard and Mr Depp” and “it is our understanding that the matter has been settled”.